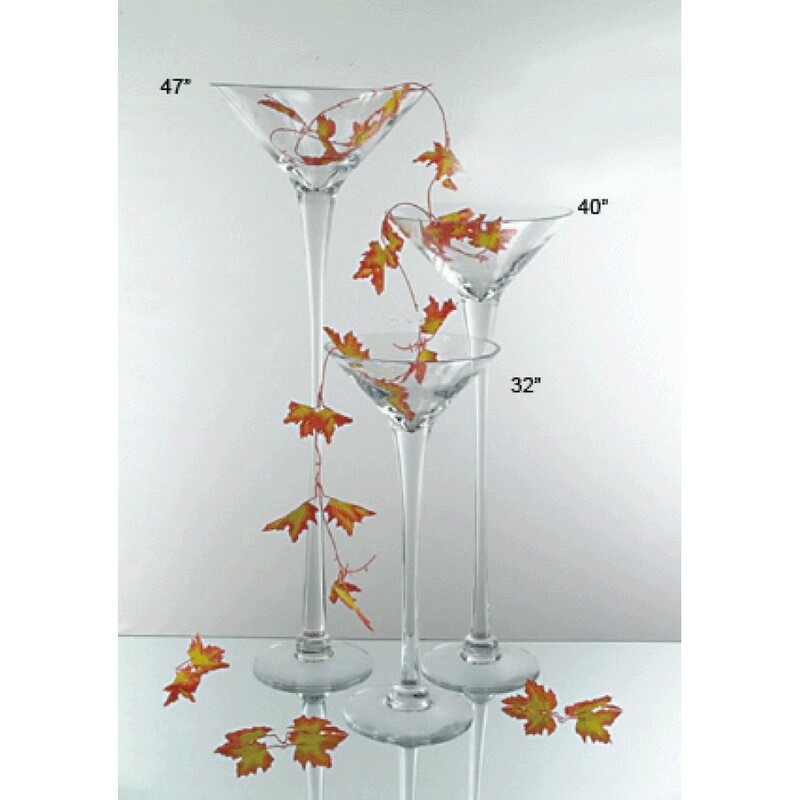 If you are thinking of creating a wine glass centerpiece chances are that you are looking to create one that is relatively inexpensive and made from things that you already have. Starting with your wine glasses, you will want them to be seen and not mixed up with the wine glasses on the table that are to be used for the important part of drinking wine! 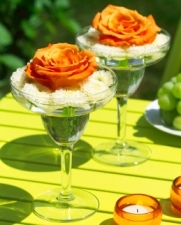 You can do this by using different wine glasses or by making them stand out. If you have the choice of wine glasses make them interesting, don't just have one have a cluster of three or another odd number if your table is larger and use different height glasses to also create more interest. Obviously a wine glass centerpiece can't just be a bunch of glasses in the middle of the table you need to add some decorations! For a Christmas theme you could fill the glasses with baubles and for an evening centerpiece floating candles look beautiful, if you can try and get the floating candles the same size as the glass otherwise they float to the side. For a day time centerpiece you could use the wine glasses as vases and have flowers floating - Gerberas look pretty doing this. For a fruity centerpiece you could have the glass filled with berries - you would need a massive glass if you wanted to fill it with lemons! You could also get creative with your wine glasses and turn them into lanterns! 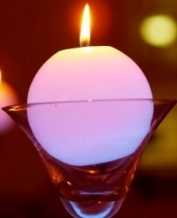 Pop a tea light in the glass and then use this template to create a shade. You could also turn the wine glass upside down and fill the glass with glass beads or pebbles and then have a ball candle on the base that is now the top. You would need to have a play with this style to find a look that works and is secure. Make sure you secure the candle with putty. If you want your centerpiece to be colorful then look at using colored wine glasses, they are easy to find at home stores and even dollar stores and you can co-ordinate them to your color scheme. Don't just think wine glasses as cocktail glasses, brandy glasses, tall glasses and even the old fashioned champagne glasses would work. Just think of a Champagne fountain with a stack of those glasses in the middle of the table, the downside would be that they may be a bit fragile. A number of event companies use giant sized glasses for an impressive centerpiece and fill them with peacock feathers or fairy lights, you can hire these glasses if you don't want something that large to keep. They create a real wow factor on a centerpiece and if you are planning a big wedding with lots of tables these would be perfect. They may be a bit over the top for a small family dinner. We all have wine glasses in the cupboards that we don't use mainly because they are not a complete set, using them as a wine glass centerpiece is a great way to still be able to use them.